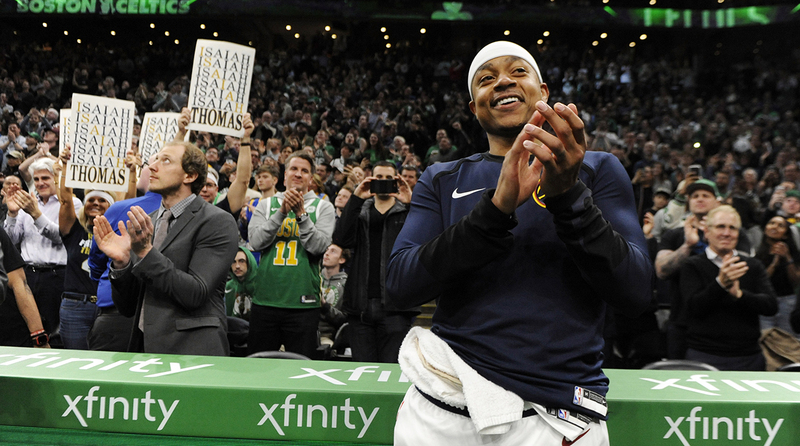 It's been nearly two years since the Celtics traded two-time All-Star Isaiah Thomas but the bond between player and city remains special. Thomas, who has played for three teams in the last two years, still thinks about what could have been in Boston. 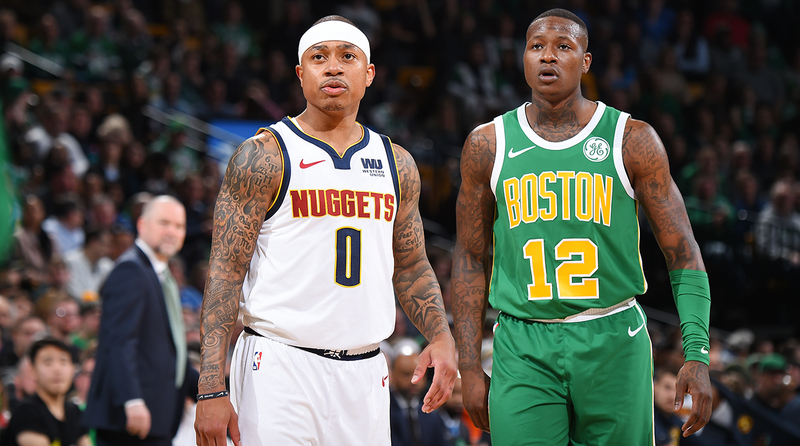 BOSTON — Isaiah Thomas has been part of the Kings and Suns, the Cavs and Lakers and, most recently, the Nuggets. He has worn burnt orange, wine and gold, purple and powder blue. But in returning to Boston as an active player for the first time since being traded in the summer of 2017, a bleary-eyed Thomas made it clear there was one uniform he treasured above all else: the Celtics. And there was one color he will always bleed: green. The stat sheet will show Thomas made little impact in Denver’s 114-105 win. Thomas—who Nuggets coach Mike Malone publicly announced last week would be out of Denver’s rotation for the foreseeable future—played sparingly, logging seven first-half minutes, missing both his shot attempts while chipping in a pair of assists. The Nuggets are loaded, battling Golden State for the top seed in the Western Conference and have no time to ease Thomas, weeks removed from returning from offseason hip surgery, into the rotation. On Monday, none of that mattered. The video tribute for Thomas rolled during the first timeout of the first quarter, with 18,624 fans rising to their feet. Highlights of Thomas’s brilliant, two-and-a-half-year run in Boston played on the JumboTron. The Celtics bench applauded as images of big shot after big shot rolled. Thomas’s eyes welled up as he was reminded of the sudden death of his sister, Chyna, who was killed in a car accident on the eve of the 2017 playoffs. He bit his lip as he watched video of him carrying the Celtics through the first two playoff rounds in 2017, all through a career-altering hip injury that would eventually cost him most of the next two seasons. A year ago, Thomas returned to Boston with Cleveland, the team the Celtics shipped Thomas to in exchange for Kyrie Irving. It was an awkward reunion, with Thomas still rehabbing his injured hip and publicly requesting the Celtics not produce a tribute video until he was back playing. This time was different. It’s been nearly two years since Thomas was traded and the bond between city and player remains strong. On Sunday, dozens of fans waited at the Nuggets hotel for Thomas. More approached him when he made his way to the Nike store. When Thomas hopped in a pickup game at nearby Emerson college with some out of shape undergrads (“Worst run I have ever been a part of,” Thomas said, laughing) some 50 students gathered to watch. It was the perfect marriage, Thomas and Boston, with Celtics GM Danny Ainge and coach Brad Stevens believing in Thomas and Thomas desperately needing someone to believe in him. He made two All-Star teams, finished fifth in the MVP voting in 2017 and submitted one of the greatest playoff performances ever in the playoffs that spring. These have been trying times for Thomas. He signed with Denver last summer, reuniting with Malone, his former coach, only to see the Nuggets evolve from fringe playoff contender into conference contender while he was sidelined. On Monday, Thomas admitted, he needed the love. Thomas says he is healthy. “This is the first time since I got hurt that I don’t feel any pain,” Thomas said. He aches to play, but he refuses to become a distraction. Malone says Thomas has been a leader in the locker room since the first day of camp. Thomas’s contributions to the Nuggets, Malone said, began well before he stepped on the floor. “I’m here to help,” Thomas said. “Whatever they need me to do. I’m not here to cause any problems. When my opportunity comes, I’ll be ready. Thomas believes the All-NBA player is still in him. “I just want a legit opportunity,” Thomas said. “I know I can play at a high level again. Given the opportunity I can be an All-Star, I can be All-NBA. Physically I feel great. It’s all about the opportunity. If I get the opportunity, I’m going to take advantage of it.” At his best, Thomas was a fearless shotmaker, an indefatigable worker in constant motion until the right shot attempt emerged. At 30, can Thomas become that player again? Late Monday, Thomas dressed dutifully in front of his locker. 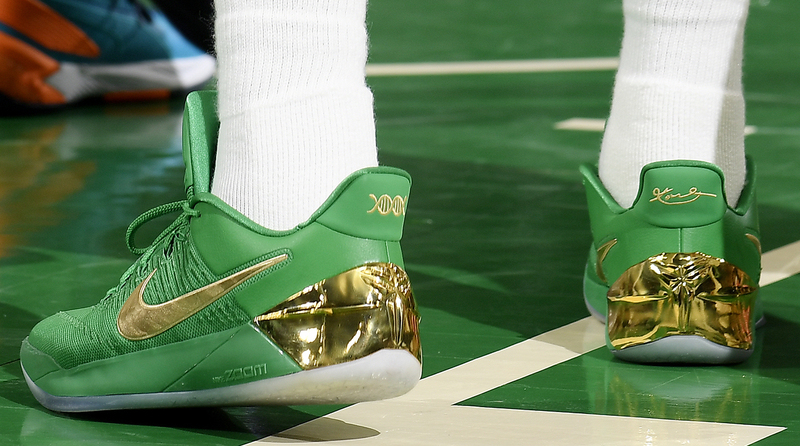 On the floor, a pair of green sneakers, the same pair Thomas intended to wear in the 2017 NBA Finals—if he had been healthy enough to carry Boston that far. In his locker, a box of Celtics game shorts a team staffer had dropped off. From a cushioned chair he scrolled through his Instagram account, smiling while watching the videos that popped up. One by one Boston coaches and staff members slipped into the Nuggets locker room, exchanging hugs with Thomas one more time. Stevens and Thomas still speak every few weeks while Ainge and Thomas embraced immediately after the game. In a season filled with difficult days, this one brought back all the good memories. “It was special [here],” Thomas said. “I didn’t understand that until I wasn’t here. I was so locked in those moments, I didn’t know what was happening. It always felt like those things should happen because I worked for those things. I always envisioned those things happening. There were times after I got traded when I sat back and thought about the things that I did as an individual, the things we did as a team. Those are amazing moments, things I’ll cherish for the rest of my life. Those moments are everything to me. We did some legendary s--t. I did some legendary s--t, too."